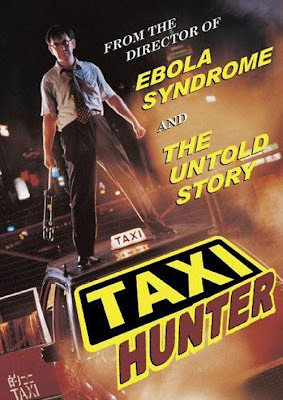 Taxi hunter is another of Herman Yau's collaborations with Anthony Wong, unlike The Untold story and Ebola syndrome, which are both category III rated this one is a category II title. Don't let the softer rating fool you though, while Taxi hunter isn't as extreme as those two movies it still packs a punch. Ah Kin (Anthony Wong) is a mild mannered, almost nerdy insurance salesman, everything is looking good for him, he's in line for a promotion at work and has a lovely wife who is pregnant with his child. When she suffers pregnancy complications, a sequence of events is set in motion that leads to the emergence of Ah Kin's dark side. Where to start with Taxi hunter? Well I can only imagine how the real Hong Kong taxi drivers and their governing body would have reacted to the depiction of them in the film. Just about driver in the movie is a real low life at best, and most of them much worse! The films inspiration was from real life, with Hong Kong taxi drivers apparently pulling similar kind of tricks to ones portrayed in the movie, although not all of them I hope. 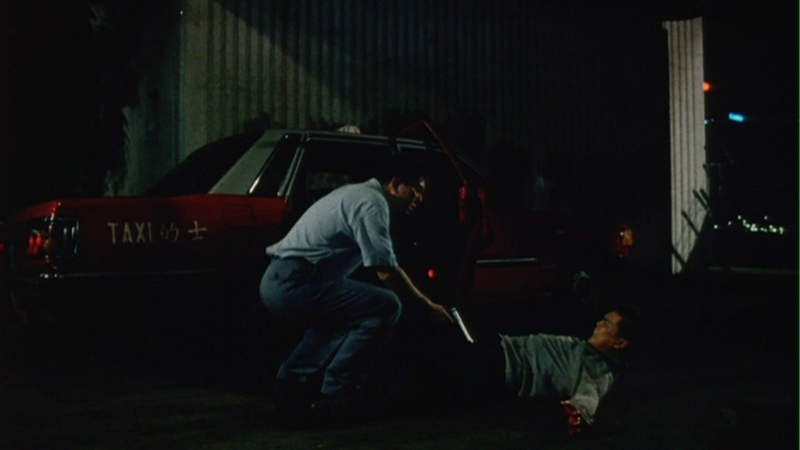 As stated before, Taxi hunter is relatively restrained for what is essentially an early nineties Hong Kong exploitation movie and is arguably a better movie for it. Sure it would have been fun for it to have the usual excesses of category III fare, but that would have taken away from the solid drama that features in the film. Taxi hunter does have a couple of flaws, the biggest being the character and performance of Stephen Chow's regular sidekick Ng Man Tat. He does not belong in this film, he is there as comic relief but is completely unfunny, its certainly not that I have anything against the actor. In fact I find him very funny in his Chow movies, here its just like he has wandered onto the set of this movie from something else entirely. The other issue I have with the film is the lengths Yau goes to, to make it clear what a nice guy Ah Kin is and generate sympathy for him. A little less of forcing the character and a little more ambiguity could have made for an even more interesting movie than what we actually have. The negatives of the film are easily outweighed by the positives though, and just for a change its Anthony Wong that makes the film what it is. Playing against type in the early stages of the film as the timid insurance salesman, Wong is completely convincing. He's also great during the scenes with his wife, showing real tenderness towards her. Obviously this is not the first time Wong has played a killer so when he snaps we know what he is capable of but this is different from his usual psycho due to the restraint shown by both the actor and director. It isn't all serious though as he looks like he is having great fun during a Taxi driver inspired moment of talking to camera. An excellent performance that holds the film together and does manage to elicit sympathy despite what his character does. Herman Yau does a great job directing Taxi hunter, I may not agree with all the choices he makes in terms of where the story goes and regarding some of the characters, but the film looks really great for what must have been a really low budget shoot, with some great night shooting of Hong Kong, I love this kind of stuff. He also has a fantastic car chase towards the end of the movie, which again considering what he must have had to work with is pretty incredible, and its one of those guerilla style ones where they can't have had permission to shoot it. Taxi hunter also features some impressive stunt work throughout the film, that really sells the action sequences. The dvd from Diskotek is very impressive, not in features alas as only a few trailers are included but the anamorphic image is very nice looking much better than I anticipated, looking pleasingly film like. The only problem being some actual print damage, but I'd take this over botched attempts to clean it up anyday! 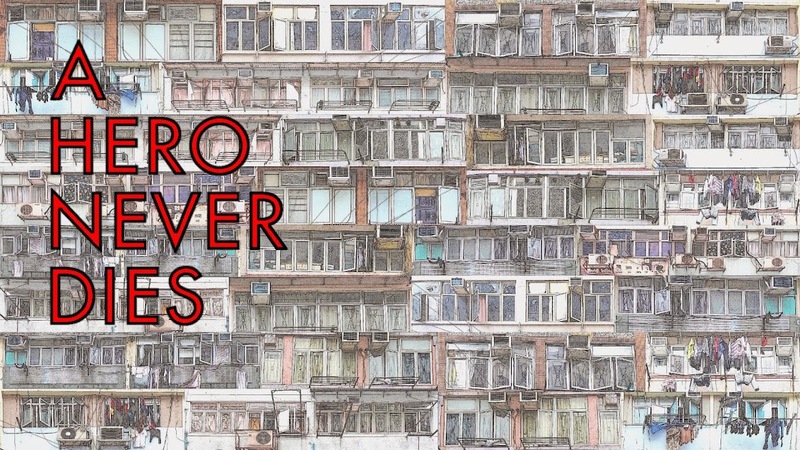 Its not perfect but I really enjoyed Taxi hunter, it takes elements from various western movies and blends them into something uniquely Hong Kong. Fans familiar with Yau and Wong's more infamous collaborations may consider it to not be strong enough, but for me in this instance it works in the films favour. This looks like a lot of fun. You are right, the VCD cover is awesome. Judging by my personal experience with some of HK's taxi drivers, Wong's portrayal of the taxi drivers aren't that far off the mark (assuming if you remove the excesses of the movie, of course). After all, the taxi drivers in HK don't exactly have a great reputation...many of them are low-lifes, scums and triad members out to rip off their passengers. OOps, another darn typo. Not Wong's portary of taxi driver but the taxi drivers portaryed in the films. It matches pretty close to reality. you almost feel sorry for them when Wong takes his revenge...almost. But on the whole, many hk taxi drivers are scums. Ty, it does look cool and would make a great poster. Anon, I didn't realise it was still a problem, I thought they had been cleaned up. I used taxis a couple of times on my first visit to HK but never since, they weren't great but I just put it down to the language thing. It's very much a hit or miss affair with taxi drivers. Some newer taxi drivers (or perhaps reformed drivers) show a basic degree of civility and won't ripoff their customers by driving long routes. Tampering with their fare-metre has been mostly abated. By rare luck, one or two taxi driver might actually be pleasant to talk to. However you will still encounter the dishonest foul-mouthed triad-associated thugs about 1/3 to 1/2 of the time. So it's very much up to chance what kind of taxi driver you encounter. So what I am trying to say is that you may encounter a good taxi driver on one ride,and a nasty one on another. One good ride does not mean you will get another. The absolute number of taxi scums have dropped (which hopefully increases your chance of getting a honest ride)but they still make up a substantial portion of the taxi driver population. Great job once again, AHND. 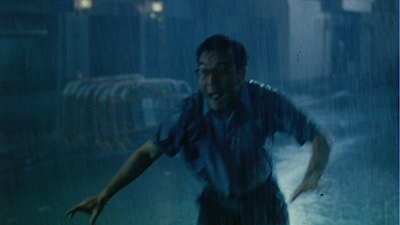 I'm really enjoying your foray into this area of HK cinema. I'm reliving a lot through your reviews. Thanks! Films like Taxi Hunter are so indicative of the early 90's HK cinema scene. 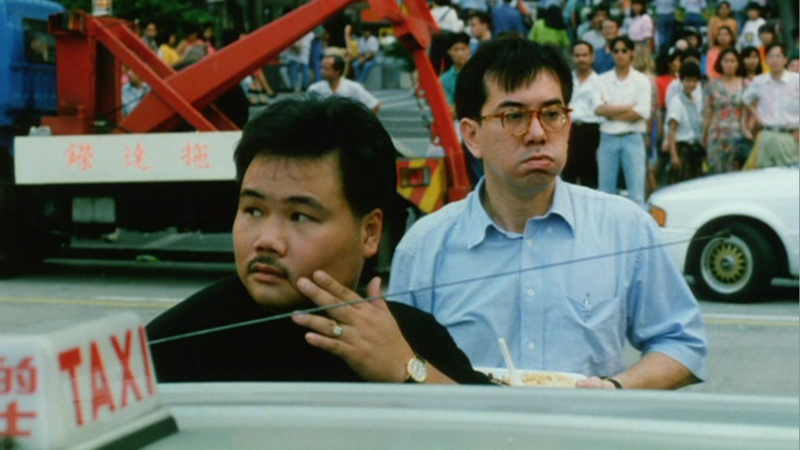 The look, pacing, irreverency....for me, there is no better era in HK cinema. Anon, thanks for the info I'll be sure to be wary on my next visit! 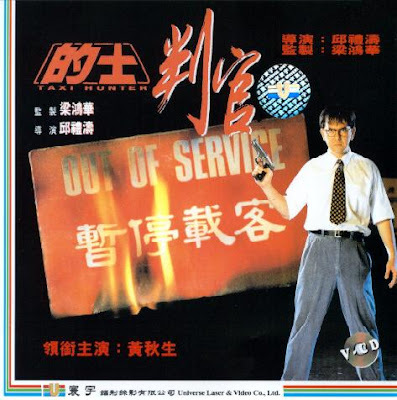 Maybe its time Herman Yau did Taxi hunter 2. Kingwho?, I really appreciate your kind words and I'm enjoying the trip down your memory lane too!